Pistachios are a good nut choice for snack time because they offer protein, fiber, magnesium, B vitamins, and healthy fats. Additionally, research suggests the shells can help monitor the portion intake. 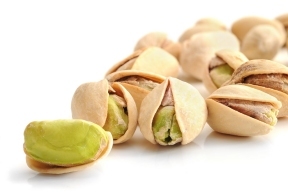 Wonderful Pistachios offers 100 calorie packs that add to the healthy nature of this nut. 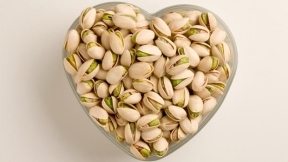 Nearly 90-percent of fats in pistachios are the healthy unsaturated type. Bonus Tip: Both Wonderful Pistachios and Wonderful Almonds are naturally cholesterol-free, making them a deliciously tempting option for smarter meals and snacks.